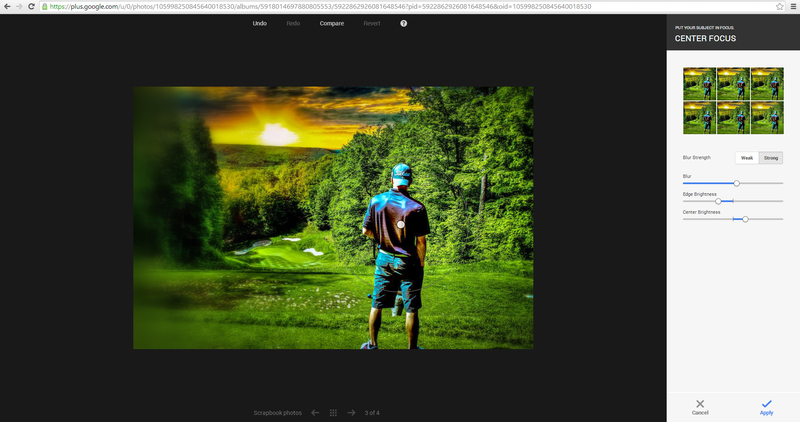 Google+ has recently added semi-advanced photo editing to its list of features. Acting on last year’s acquisition of Nik Software, famous for their Snapseed photo-editing app, G+ now offers a bevy of interesting filters and editing tools through their Chrome browser (as of right now, this feature only works through Chrome, but other browsers should have this availability soon). This marks another step that G+ has taken to gain relevance in the social media realm. Many of the features of this new editing program bear quite a resemblance to Instagram and other photo-based apps/sites such as Flickr or Viewbug, and while I don’t see this feature overtaking Instagram anytime soon, it is at least a step in the right direction. This marks another step that G+ has taken to gain relevance in the social media realm. Many of the features of this new editing program bear quite a resemblance to Instagram and other photo-based apps/sites such as Flickr or Viewbug, and while I don’t see this feature overtaking Instagram anytime soon, it is at least a step in the right direction. Playing around with the photo editor is fun and intuitive, and the results can be stunning. I especially like the ring blur option (similar to Instagram) where you can create faux tilt-shift images with the touch of a button. The color correction is quick and efficient, and many of the natural filter settings are vibrant. Google+ seems to be trying any tactic they possibly can to become a forerunner of the social market, but their site still feels a little ghost townish and under-occupied. Companies and businesses that understand the important SEO implications that G+ carries with it are certainly working G+ into their online marketing plans, but the average person who doesn’t need a boost in search rankings or online traffic would find very little value here. G+ simply is not populated or groundbreaking enough to attract the types of numbers that sights like Facebook, Instagram, Twitter and others see. However, Google has certainly not ruled out G+, and they are pouring their excessive funds into making it a leader. As search personalization and conversational search features start to grow in popularity, G+’s population should grow accordingly. This is because Google will only use personal information from Gmail and G+ to answer personalized queries, but until then, it will be a long way to the top for G+. At least this new photo-editing software will give us something to do as we wait for the G+ world to further populate. Happy shooting!